Fletcher Whitwell, SVP, Group Managing Director, Author at Build the Brand. Protect the Brand. 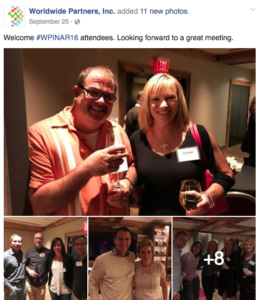 It was, yet again, refreshing to join 50 other independent agency executives in Portland last month at the Worldwide Partners North American Region Conference. Refreshing because we gained and shared so much knowledge, but also refreshing because it reiterated how special being an independent agency is, and the value that independence is to clients. 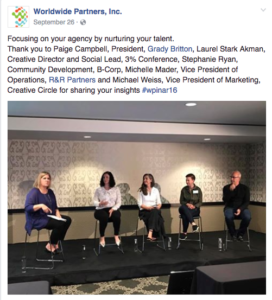 I am proud to work for a fiercely independent agency and be part of the Worldwide Partners independent agency network, where all the themes discussed with this esteemed panel are paramount in everything we do. Thank you to WPI for keeping us, independents, relevant, inspired and refreshed! In honor of the lives lost in Orlando this weekend, I wanted to open my LGBT blog post with a small tribute to the horrible tragedy that has impacted all of our lives. I’m sure many of you woke up on Sunday morning as I did to the tragic news coming from Orlando. Each Sunday, our kids wander into our room and we go eat breakfast and plan for the day ahead. Well, that happened yesterday too, but Hudson and Sawyer witnessed their dads paralyzed to the TV with tears streaming down their eyes. What do you tell your 2- and 5-year-olds about a senseless tragedy and about death? I didn’t know exactly what to say and I don’t think I ever will, but I will always think of the Orlando club owner when I think of my kids moving forward. She had named the club “Pulse” as it reminded her of her brother’s heartbeat, whom she lost to AIDS years ago. I will always think of my kids’ heartbeat, and also the heartbeats of the 49 victims, each and every day of my life here on earth. My heart goes out to all of the families affected by this senseless act. Growing up in Mississippi, I was always raised with a value system to love, care for, give back and be respectful. I’ve always looked for similar shared values in the companies and clients I’ve worked for, and being a part of R&R Partners now for 10 years has been a perfect match for me. At the core, R&R is empathetic − we embed with our clients, helping them through whatever situation they are going through. R&R also puts our employees and their families at the forefront of everything we do, as we know it’s our employees who help deliver the results for our clients at the end of the day. As an advertising executive and gay man, I carry those ingrained values that my family instilled in me throughout my personal and professional life. Recently, my partner and I served as plaintiffs in the successful Nevada marriage equality lawsuit. I was so grateful that R&R supported this endeavor that was so very important to millions of LGBT individuals throughout the world. The high of the Supreme Court’s decision on the marriage equality victory was recently overshadowed by the ridiculously bigoted rollback of anti-discrimination laws in North Carolina and my home state of Mississippi. I was appalled by the governors in these Southern states and how they’d allow for discrimination to not only affect the lives of many of their residents, but also the economics of their state. These states are losing millions, if not billions, of dollars in tourism dollars. There’s a great website that is tracking artists, from Bruce Springsteen to Cirque du Soleil, who are boycotting these states to stand up against their bigoted leaders. While I hate it for Mississippi, I love it in the respect to standing up for what’s right, and I’m in hopes that these biased laws are overturned in short-order. The Mississippi discrimination law situation reignited my upbringing and also my desire to work for and with companies who are diverse, respectful and welcoming. 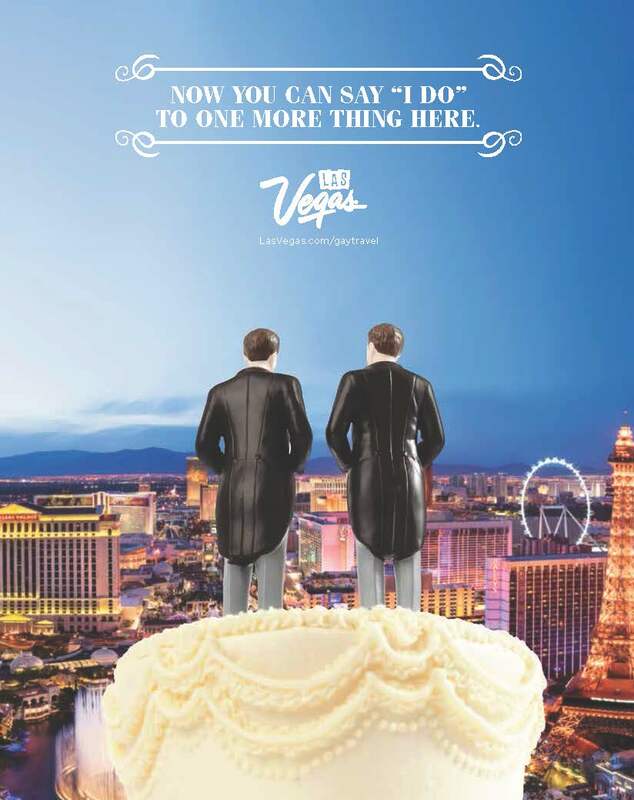 It makes me proud to work for a phenomenal, independent advertising and marketing firm that has not only created the path for LGBT visitors to enjoy Las Vegas and our resort properties, no matter who you are, but also has helped fight for equal human rights in the Nevada legislature to pass hospital visitation rights, anti-bullying laws, transgender rights and marriage equality, among other corporate social responsibility initiatives. AdAge recently published an article with “musts” for those clients marketing to the LGBT community. I’m proud to say R&R Partners has been living and breathing these musts since their existence began 42 years ago, helping lead the way for people like me to be a successful (gay) executive in today’s society, despite the setbacks a few are making us work through. Fletcher Whitwell is senior vice president at R&R Partners, overseeing multiple offices across the U.S. He is a devoted husband and father of two adopted children. He serves his community on many boards, including Human Rights Campaign, SampleDance, Spread the Word Nevada and Worldwide Partners. 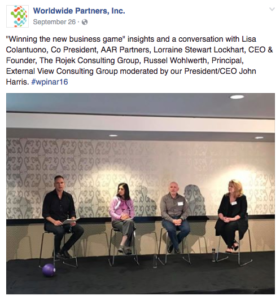 I recently attended the Worldwide Partners Inc. (WPI) annual North America conference in Chicago. WPI is a network of independent agencies that have come together to leverage the thinking and resources of 70+ top independent agencies from across the globe. 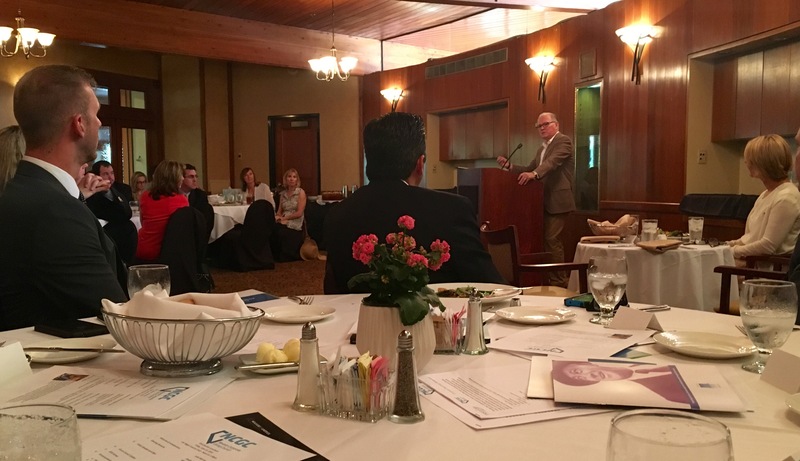 Besides R&R Partners, the network includes fine agencies like BSSP, Mering Carsen, Shipyard, Juice Pharma, Bailey Laurerman, just to name a few. In fact, collectively, WPI ranks No. 10 in terms of billings when compared to other large holding companies. The conference really shed light on why being independent is really special and unique. Our clients’ success is paramount – we are all-in for our clients. Creativity is at our core – typically with smaller budgets, we have to find efficient, yet effective and breakthrough solutions for our clients. We are also nimble and quick – structure and process exists, but isn’t a barrier to moving quickly in a fast-paced environment. We invest for our clients – we aren’t beholden to any holding company, so we do what’s right for our clients, not what’s in the best interest of our bottom line. And when needed, WPI agencies come together to scale up to meet the clients’ needs, whether it be geographical, resources or specialty areas. 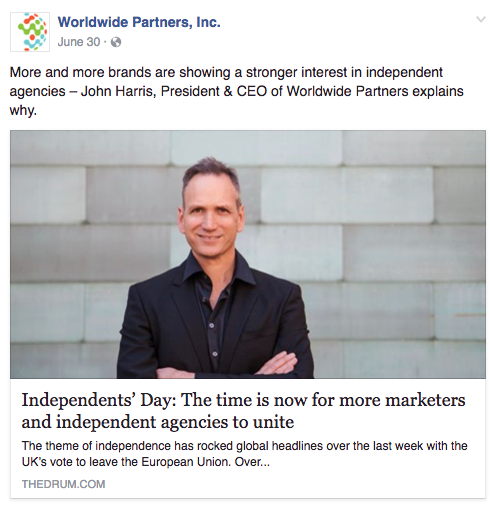 Independence is at the core of R&R Partners. Our unique experiences and culture, coupled with our candor and empathy, deliver results for our clients. Clients that have been around 20+ years in most cases. Programmatic buying is a great way for publishers and clients to take advantage of real-time bidding and traffic spikes due to timely and topical events. 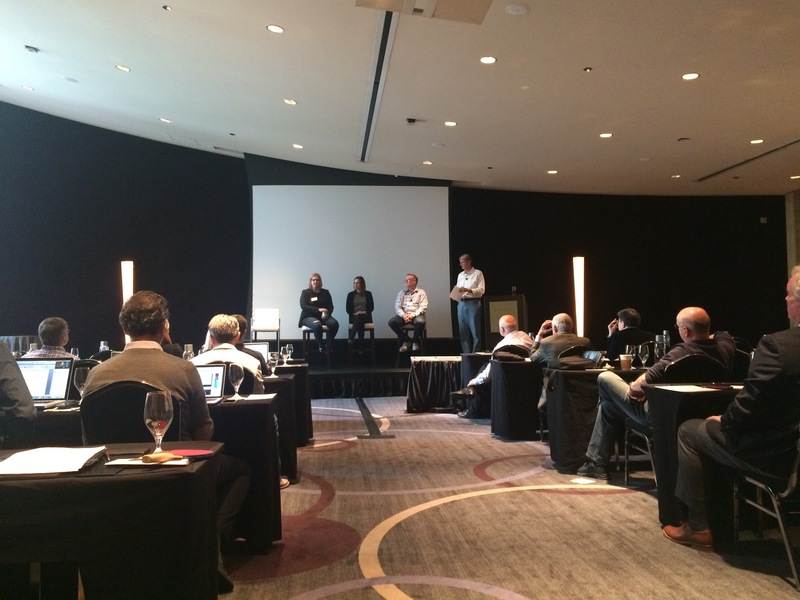 But the key to programmatic buying is being transparent to clients, both delivery and cost. Tongal, a creative, on-demand production studio, not only does great cost-efficient work, but a partner like Tongal could also serve as an alternative to freelancers or help supplement your social content program. “Your vision is your creativity … but change requires gut and grit … you are the catalyst …” – Jen Spencer, the Humanity of Creativity. Michael Farmer, author of Madison Avenue Manslaughter, shared with us that consultants have greater value than agencies, thanks most in part to holding company agencies who have squeezed margins so low. Consultants are keen on a desire for client results and shareholder value; meanwhile, holding company agencies are about their own bottom line. He believes big agency brands are becoming more and more irrelevant, and this is good for independent agencies who are similar to the consultant philosophy above. Doug Wood of Reed Smith law firm has a site called legalbytes.com with interesting information on issues facing marketers today – bot fraud, patent trolls, native advertising, programmatic, etc. – all too technical for me to further expand upon. Vertical networks, particularly in the B2B, but also in some B2C categories, make a lot of sense for clients and marketers. Spiceworks is the top network in IT; Doximity for doctors; Edmodo for educators; Showcase for marketing; just to name a few. Forbes has put forward the road map for managing, systematizing and optimizing the marketing content supply chain: Own -> Reorganize -> Systemize -> Operationalize. 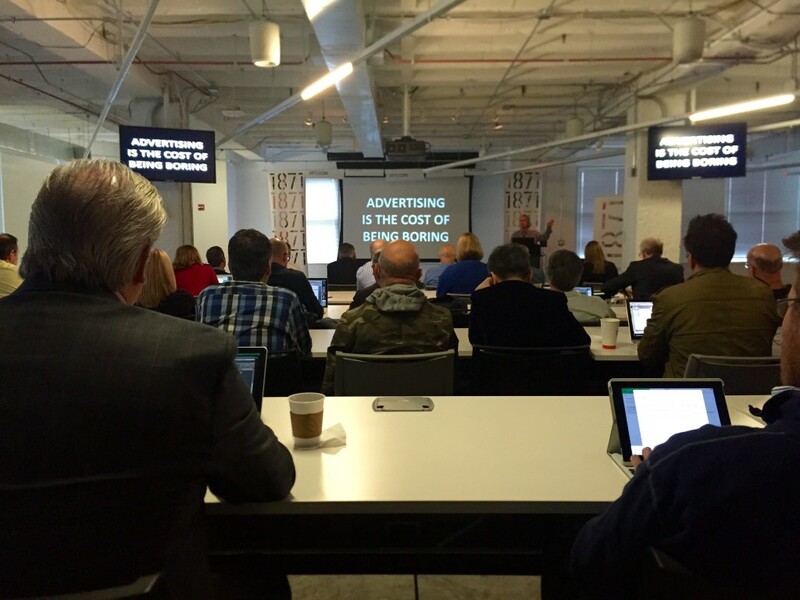 Howard Tullman, CEO of 1871, the incubator space in the Merchandise Mart, knows his stuff! He believes search is out, and answers are in … and data and accessibility is driving this phenomenon. He also says context is more important than what you’re saying; ritual and regular is more important than frequency; reach, resonance, reaction. Raise is a really cool gift card app where you can buy unused gift cards at really low prices and retailers aren’t balking as they would rather get some revenue versus rebating the unused gift cards based on recent regulations. Mintel talked about the iGeneration, 5−14-year-olds, since we’re all tired of talking about Millennials. Interesting statistics that prove our country truly is a minority-majority: 5−14-yea-olds are 40 percent diverse today, 25 percent Hispanic, 10 percent African-American and 5 percent Asian. We, as marketers, need to wake up to this; or should have woken up to this a while ago. rFactor showed us some interesting social trends and success stories: social connect to CRM, segment based on sales criteria, and align key sales and marketing stakeholders. One large consultancy company measures success in terms of its clients’ financial results. An interesting approach that should be considered for clients who are open to innovative compensation structures. I terribly missed my kids, Hudson and Sawyer. It was a powerfully packed two-day agenda, which I don’t regret being a part of at the very least, but I was glad to do the redeye in and out in order to limit my time away from my kids.